John Johnson was born on November 13, 1935 on the family farm in Des Moines River Township, Murray County, Minnesota to Marlowe and Amy Ewen Johnson. He grew up on the family farm and graduated from Westbrook High School in 1953. On January 5, 1955 John enlisted in the United States Army and was stationed in Germany. Following his honorable discharge on November 29, 1957 he returned to the family farm. On March 1, 1958 he and Elaine Lilleodden were married at Lake Hanska Lutheran Church in Hanska, MN. Following their marriage they lived with John’s parents until November when they moved to their current farm west of Currie, MN. John farmed and sold Fontanelle Seed Corn. 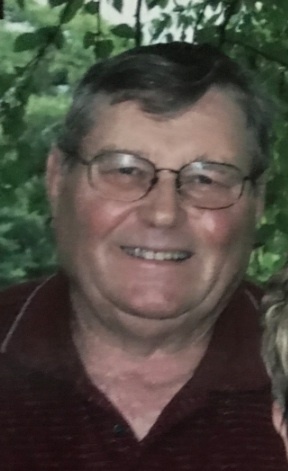 John passed away on Wednesday, June 13, 2018 at the Murray County Medical Center in Slayton at the age of 82. He was an active member of Our Savior’s Lutheran Church in Dovray, MN where he served as usher, on the church council and the cemetery board. 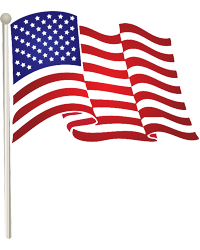 He was a member of the Dovray American Legion Post and the Westbrook VFW Post. John also was a member of the Tracy Sportsman Club and the Rocky Mountain Elk Foundation. He served on the Murray County Planning and Zoning Board for 22 years, Murray County Adjustment Board for 9 years, and 20 plus years on the Murray County Township Board. In his younger days John enjoyed playing baseball for the city teams of Dovray and Currie. John enjoyed spending time with his family, attending his grandchildren and great grandchildren actives, watching the Minnesota Twins, hunting, trap shooting, reading and gun shows. Survivors include his wife, Elaine Johnson of Currie, MN, five children and their spouses, Natalie and Terry Schmidt of Slayton, MN, Tom Johnson of Eden Prairie, MN, Barb and Dave Kiesow of Forest Lake, MN, Eric and Linda Johnson of Lake Elmo, MN, and Ann and Rich Ott of Elk River, MN, 10 grandchildren, Cassidy and Chuck Paulzine, T.J. and Frankie Schmidt, Brittany and Luke Schneider, Nick and Brittny Kiesow, Taylor Kiesow, Carly Kiesow and Mitch Anderson, Jack Johnson, Jake Johnson, Alex Ott and Lauren Ott, 14 great-grandchildren, Abram, Elyse, Charlie Paulzine, Brandt, Emery, Rhett Schmidt, Thea, Krew, Finn Schneider, Bella and Lola Tieu, and Kasen, Landry, and Sabryn Kiesow, two siblings, Sandra Grams of Storden, MN, and Craig and Bernie Johnson of Savage, MN, and one sister-in-law, Sue Johnson of Avoca, MN. He is preceded in death by his parents, infant grandson, Sammy Eric Annerl, infant brother, two brothers, Luverne and Steve Johnson, and two brothers-in-law, Don Roby and Bob Grams. Our Savior’s Lutheran Church in Dovray, MN on Monday, June 18, 2018 at 10:30 a.m. with Rev. Stephanie Swanson officiating. The organist is Mark Johnson with special music by Heidi Winter. The pallbearers are his grandchildren. The honorary pallbearers are his great-grandchildren. Interment is at Our Savior’s Lutheran Cemetery in Dovray, MN. Military honors accorded the Dovray American Legion Post and the Westbrook VFW Post. Visitation will be on Sunday, June 17, 2018 at the Totzke Funeral Home in Slayton from 4-6 p.m. and also one hour prior to the services at the church on Monday.